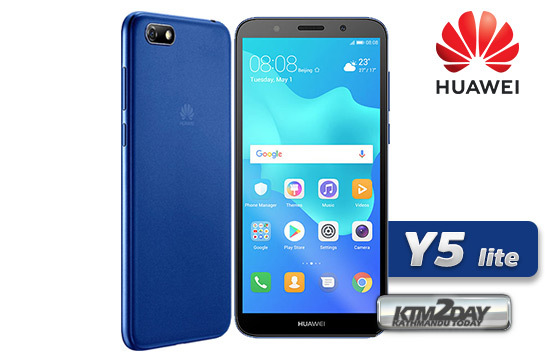 Smartphone manufacturer Huawei has launched its newest Y series device in Nepali market, the Huawei Y5 Lite. 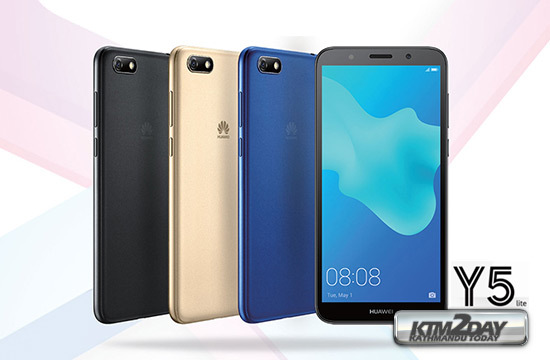 The Huawei Y5 Lite aims to reach young student groups, fresh graduates, and young professionals who have sophisticated taste but require something budget-friendly. This new phone features a 5.45-inch HUAWEI FullView display that allows users to browse the web with ease, play games, and watch clear videos in 1440×720 resolution. The phone has Face Unlock technology to secure the phone. It identifies 1000 different points of users to get unlocked. The phone is equipped with a 13MP rear camera and a 5MP front camera with selfie flash, to take clear selfies with outstanding color, even in the dark. It operates on the latest Android 8.1 Oreo with Huawei’s proprietary EMUI customization. It also allows users to use two SIM cards and a memory card (up to 256 GB) simultaneously. The Huawei Y5 Lite is armed with 2 GB RAM, 16 GB ROM, and a 1.5 GHz MediaTek MT6739 Quad-Core Processor to ensure high speed performance. The phone’s Intelligent Power Management allows user to use the 3020 mAh battery more efficiently. Users can also connect a smartband, bluetooth speaker, and game controller simultaneously, by bluetooth. Huawei Y5 Lite is available at all Huawei brand shops and outlets in all districts of the country, priced at Rs.13,900 with a 1-year warranty.